Qualification data is a special set of attributes you can update in your lead and user qualification profiles as you qualify them. Choose from the custom attributes you’ve already added to Intercom. Click ‘create new data’ to create new custom qualification data. Note: You can also ‘Add’ or ‘Remove’ any data you like, and this will change the qualification data that appears in your lead and user profiles. How do I qualify my customers using this data? 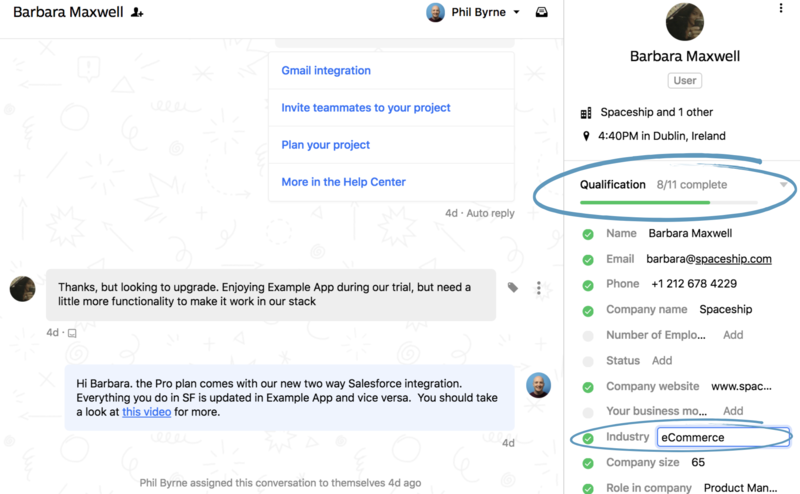 Manually qualify your leads and users in the inbox as you chat to them. 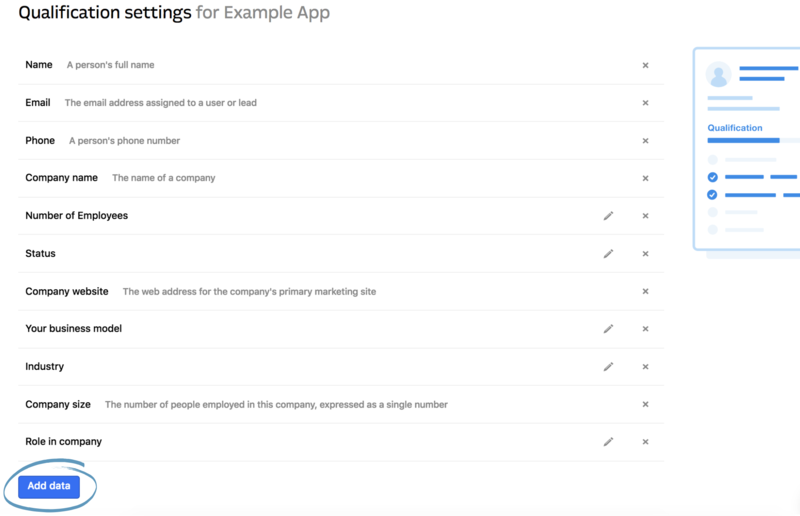 And/or set up our bot, Operator, to automatically ask leads questions on your behalf, based on whatever data is most important for your business. Note: It’s also possible to update lead qualification data via a ping (just like you would with your custom attributes). And, you can update it via a CSV import or through the REST API. Check out our best practices on how to choose the right qualification data for your business.